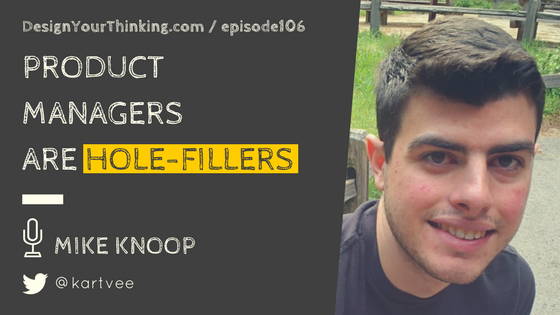 In this Topical Zoom episode, I speak with Mike Knoop, a co-founder and CPO at Zapier to talk about his interest in doing side-projects and he also talks about hiring product managers in a remote-first company. Mike is a co-founder and CPO at Zapier, a 100% remote company that aims to help people across the world automate parts of their work. As CPO, Mike runs Zapier’s product teams today, helping them set and execute their roadmaps and strategy. Mike got a mechanical engineering degree from the University of Missouri and now calls San Mateo CA home. What you will learn – Hiring Product Managers and more! How big a company is Zapier today? How has your role changed from early 2012 to 2017? You’ve been doing side projects when you were at college, and now head product at Zapier. Do you still invest time in side-projects? How do/did you pick your projects? What were the challenges you faced hiring your first product team at Zapier? What are the most common mistakes you see product teams make in the early stages of bringing a product to life? What’s your advice for a product managers or entrepreneurs who are wanting to build a compelling product – but is unsure of the best approach? How can the person increase the odds of success? Napier De-Location Initiative: Work for Zapier from Anywhere in the World! They pay you $10,000 for de-location!